Operators around the world require their field life to be extended, as production continues beyond original expectations. Our integrity experts use their experience to identify critical systems, undertake engineering assessments to quantify utilisation and provide accurate data regarding the remaining safe operational window. Ultimately, we can help you maximise the life of your existing flexibles and provide timely indications of any required replacements. 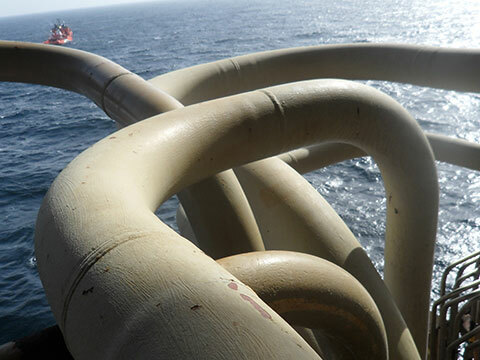 A US Gulf of Mexico operator had integrity concerns regarding the topsides unbonded flexible pipe jumpers which connect steel catenary risers to the process system of a Tension Leg Platform. There was insufficient data available on these legacy pipes to be able to make an informed decision regarding safe remnant life. We carried out the forensic dissection of one of the jumpers carrying out intensive testing of the metallic and polymeric layers and then used this information to inform the life extension studies for the adjacent topsides jumpers. 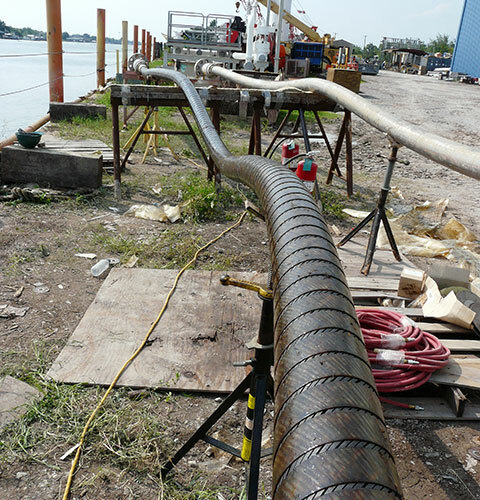 The outcome was continued safe operation with a clearer understanding of the utilisation of each of the pipe’s layers. A major European operator has 5 subsea pipelines linking 5 discrete production centres back to a fixed platform operating in an extremely sensitive area close to a key holiday destination. These flexible pipelines are segmented into 4 or 5 flowlines connected subsea. Life extension was complex due to the lack of availability of comprehensive design documentation, meaning that our experts had to apply their experience to develop a comprehensive risk matrix based upon similar pipe designs. As is often the case in life extension projects the outcome of the project required selected short length flowline replacement and a number of specialised Inspection, Maintenance and Repair campaigns. However, the client now has a firm integrity basis from which to continue safe operation and a robust template to facilitate the ongoing pipeline integrity.